Architectural heavy-duty steel construction ensures years of trouble-free outdoor use. Adjustable feet stabilize the container on uneven surfaces. 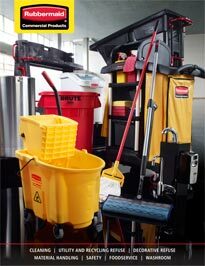 Molded-in handles provide easy removal of Brute Rigid Liner.